Independently sit up in bed with the assistance of the bed ladder by Pulse Products. Perfect for those recovering from surgery, suffering from back pain, or experiencing limited mobility. The sturdy bed ladder has three soft, non-slip handles for a comfortable and secure grip. Set at 11" apart, the soft handles allow individuals to pull themselves up incrementally. Easily Sit up in Bed: Assisting those with spine injuries, lower extremity weakness or experiencing a limited range of motion, the bed ladder allows individuals to incrementally rise to a seated position. Constructed with a durable webbing that supports up to 350 pounds, the bed ladder makes sitting up in bed easy for those recovering from surgery, as well as those who are pregnant. Adjustable Length Ladder Design: The bed ladder's overall length is adjustable to achieve the perfect fit for every bed. Easily set the ladder length to better assist any individual by adjusting the strap to allow the first ladder handle to reach the individual's waist while lying down. EASILY SIT UP IN BED: Assisting those with spinal injuries, lower extremity weakness and limited range of motion, the bed ladder allows individuals to incrementally rise to a seated position. Constructed with a durable webbing that supports up to 350 pounds, the sturdy bed ladder makes sitting up in bed easy for those recovering from surgery, as well as those who are pregnant or suffering from back problems. TOOL-FREE INSTALLATION: Easily installs on any bed frame with a secure composite buckle. The ladder is easy to remove and is portable for additional assistance while traveling as well as at home. ADJUSTABLE LENGTH LADDER DESIGN: The bed ladder strap length is adjustable to achieve the perfect fit for every bed. 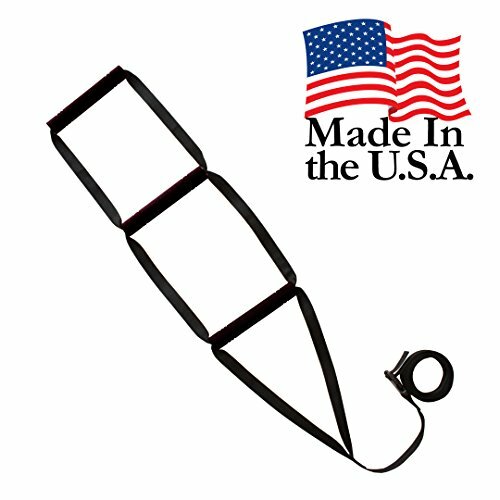 Easily set the ladder length to assist any individual by adjusting the strap to allow the first ladder handle to reach the individual's waist while lying down. SOFT NONSLIP HANDLES: Covered with a soft EVA foam, the three bed hoist handles provide a secure, nonslip grip for exceptional comfort. Each nonslip handle is 8 inches in length to provide a comfortable grip. The three handles are spaced 10.5 inches apart for optimal assistance while rising. If you have any questions about this product by Pulse Brands, contact us by completing and submitting the form below. If you are looking for a specif part number, please include it with your message.